In recent months, law-enforcement agencies across the country have been vigorously investigating medical-services providers – doctors, nurses, and clinics. The ostensible reason for this crackdown has been to eradicate Medicare fraud and “pill mills” where doctors needlessly distribute narcotic painkillers to their patients in exchange for kickbacks and other ill-gotten gains. Emboldened by its success, the DOJ and the Department of Homeland Security announced in August that they were forming a new regional strike force, adding horsepower to their investigations. In all, law-enforcement agencies across the country have formed ten regional strike forces and charged over 3,700 medical professionals with crimes ranging from healthcare fraud to providing false statements. The criminal charges common to this nationwide dragnet each carry the potential to devastate the life and career of a licensed medical professional. “Healthcare fraud” is a serious felony: Each count is punishable by up to ten years in prison. “Providing false statements” can land a doctor in prison for up to five years. “Aggravated identity theft” carries a mandatory prison sentence of two years. Given the serious potential consequences for a medical provider, it is no surprise that these investigations and charges have led to a staggering number of guilty pleas, which have resulted in felony or misdemeanor convictions for a number of healthcare providers across the country. The effects of this enormous operation can be felt close to home. Last year, in Santa Ana, the Orange County DA, aided by the state Department of Insurance, criminally charged a Ranchos Palos Verdes doctor along with 25 other doctors, pharmacists and business owners in connection with an alleged $40 million fraudulent medical billing and kickback operation. The doctors were charged in 2017 with multiple felony counts, including conspiracy to commit medical insurance fraud. The criminal indictments allege that a Beverly Hills couple masterminded a “complex insurance fraud scheme” and recruited doctors and pharmacists to participate. The medical professionals who were charged with fraud crimes were located throughout California. Given the vast reach of this law-enforcement effort, it is possible that a treating doctor involved in the care of your clients has a black mark on her record – a pending criminal charge, a misdemeanor conviction, a felony conviction, or a restriction on her license. Due diligence now requires us to research the treating doctors, especially if we intend to rely on them for testimony at trial or in support for our life-care plan. Effective target research is a topic for another article, but Google is an effective starting place. The DOJ is proud of the arrests it makes, and publishes its successes online. Hopefully, you are reading this article in time to conduct your investigation before choosing your witness lineup for trial or your life-care plan support. But if your client (and case) is unwittingly and irreparably tangled in this criminal web, it’s worth a refresher on the rules around impeachment with a criminal conviction. Evidence Code section 788 allows a party to use the fact of a felony conviction to attack a witness’s credibility, unless the witness has obtained some form of relief from that conviction. (Evid. Code, § 788 (a)-(d).) In most circumstances, relief from a criminal conviction comes only after the completion of probation – typically three or five years – so it is likely that any medical provider who has suffered a conviction stemming from this recent law enforcement operation will have completed probation and been relieved from the evidentiary consequence of that conviction. With a misdemeanor conviction, the conduct underlying the conviction is admissible, but not the fact of the conviction. A misdemeanor charge or conviction may provide impeachment that is as powerful as that of a felony conviction. With a misdemeanor charge, a witness can be impeached with the criminal conduct even if there is no conviction, so long as the conduct is of moral turpitude. (People v. Cadogan (2009) 173 Cal.App.4th 1502.) When the underlying charge is fraudulent billing practices or something that connotes the abuse of a position of trust that a doctor has over her patient, this impeachment can be devastating. Finally, be aware of Evidence Code section 452.5, which allows the introduction of official court records, including conviction records. These could be used to impeach a witness who denies being involved in the conduct. Law-enforcement efforts to put a stop to healthcare scams may result in collateral damage to your case and clients unless you are prepared to investigate, be strategic about your choice of witnesses, and if it’s too late to change, prepare to deal with cross examination at trial. 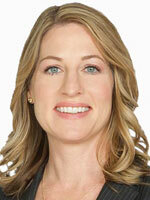 Elinor Leary is the team leader of the Leary Trial Team at The Veen Firm. Her team handles complex cases that involve life-altering injuries or death. Ms. Leary has been a clinical professor at the University of San Francisco School of Law.